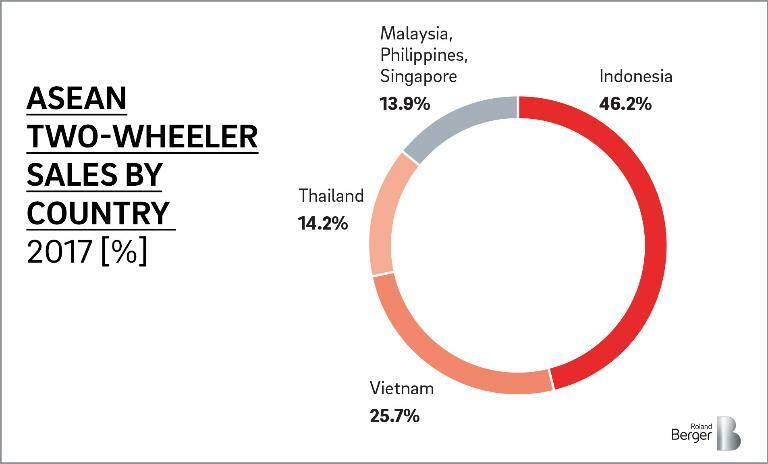 After years of steady growth, the motorcycle market in Southeast Asia has nearly reached saturation. Rising incomes encourage people to buy cheap cars instead of upgrading their motorcycles. OEMs need to face these changes and track down new sales markets. Business use two-wheelers are a promising option. Ride-hailing and e-commerce are enjoying growing popularity and demand, especially in Southeast Asia. Just to give an example: In 2010, the motorcycle-hailing start-up GO-JEK started with 20 taxi drivers in Jakarta. In the meantime, it has more than 400,000 drivers in 50 cities. 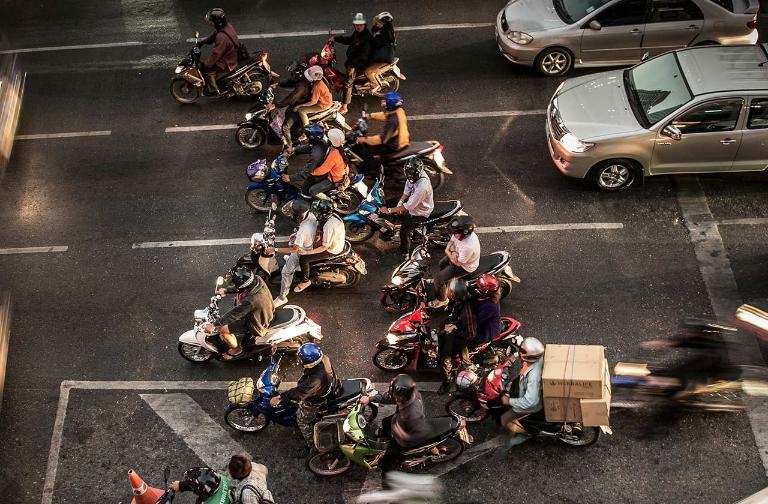 Prosperous e-commerce too depends on reliable delivery, dominated by motorcycle delivery boys. Rise of scooters: In the last 10 years, the share of scooters in Indonesian motorcycle sales rose from 20% to 84%. The rise of taxi and delivery services creates demand for a new type of two-wheeler: business use electric scooters. As they are agile even in heavy traffic and offer enough space for groceries and shopping bags, they are the go-to product choice for taxi and delivery services. But OEMs need to tailor their scooters to new requirements: comfortable seating for passengers, more storage space, charging capabilities for cell phones and other devices, just to mention a few. 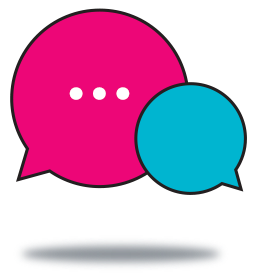 At the same time, manufacturers need to lower the initial upfront costs as well as cost of operations for the drivers. In order to do so, they have to establish an e-bike supply chain, a reliable service network and set up capabilities in components such as motors and batteries. 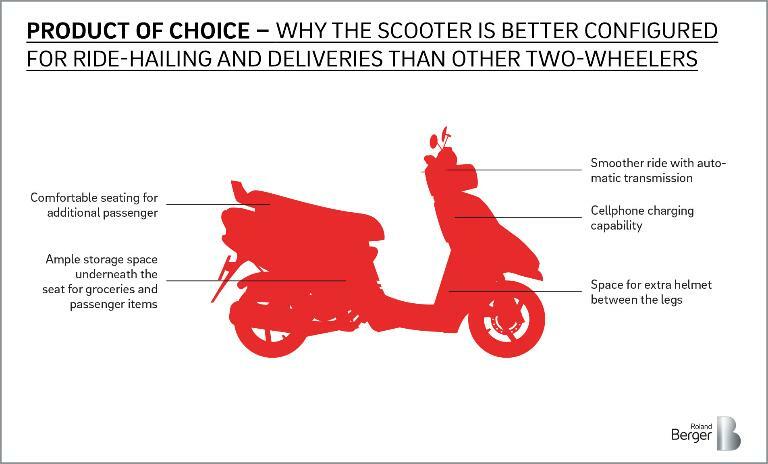 In the long term, there will be a strong demand for dedicated scooter designs catering to different business use segments, including high range, fast charging, built-in cold chain storage and smart maintenance capabilities for e-bikes. To master the challenges ahead, OEMS should partner with players from outside the established mobility market such as ride-hailing and delivery platforms to get access to customers and their data. Dawn of a new golden era? 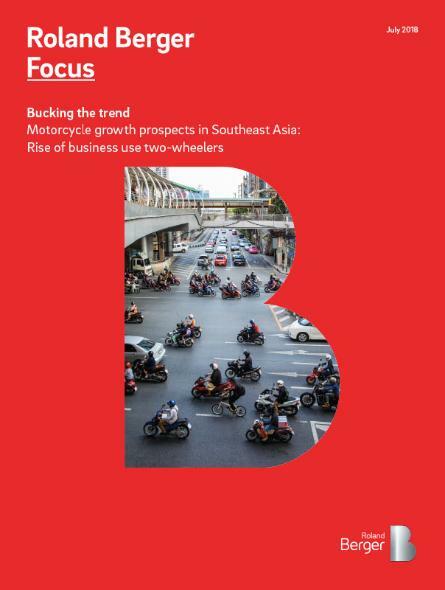 Learn more about the future of business use electric scooters as promising new market segment in Southeast Asia.